Pre-requisite: LAN 113, with a grade C or better or equivalent placement. Download "Pre-requisite: LAN 113, with a grade C or better or equivalent placement." A student s grade and progress in Web-SAM can be viewed by clicking on the My Results tab on the Supersite homepage. The University of Central Oklahoma Liberal Arts College Department of Modern Languages, Literatures, and Cultural Studies Elementary Spanish II, SPAN 1224 Fall 2015 Days: Mondays and Wednesdays (MW) Dept. 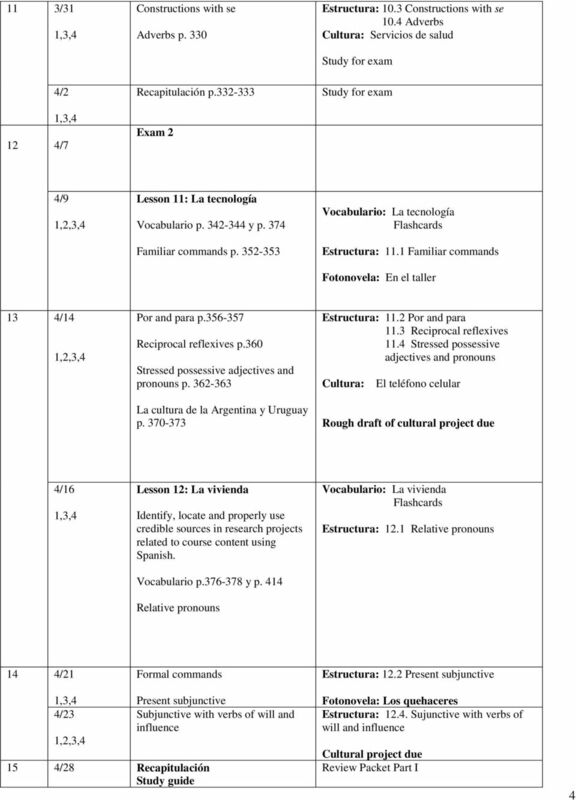 COURSE SYLLABUS Spring 2012 Course name: Spanish 1B-05 (4 units) Course Call #: 31416 Days & Hours: MW 2:00PM 2:50PM TuTh 1:30 PM -2:20 PM Classroom : Mariposa Hall 2030 Instructor s Name Magaly Lagunas-S. Spending class entirely off-task (i.e. 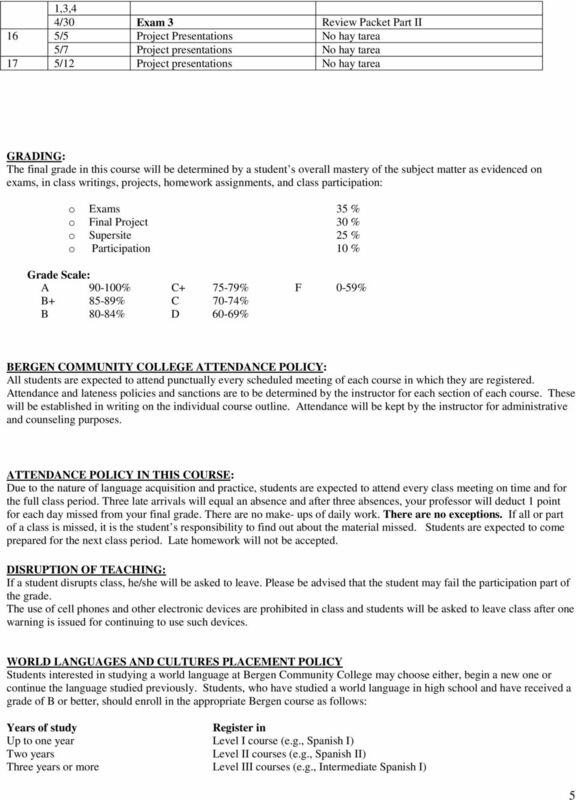 with headphones on, texting throughout class, or sleeping) will result in being counted absent. 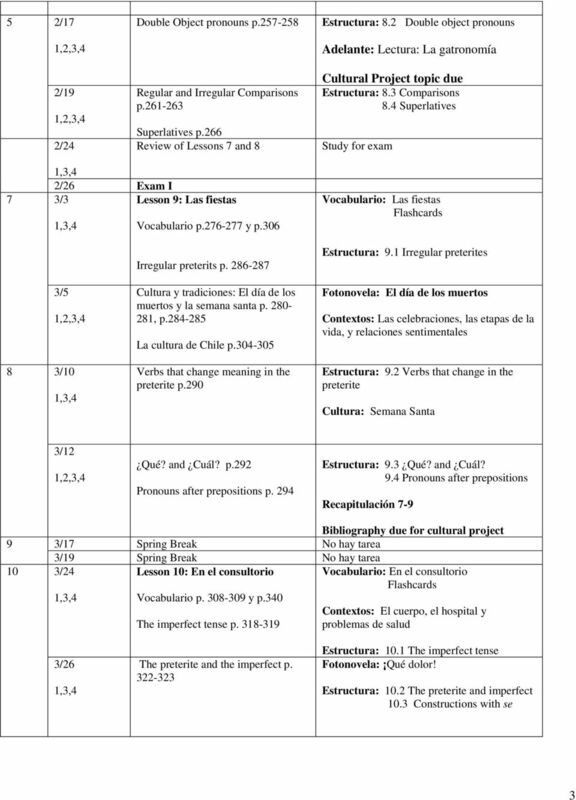 SUNY PURCHASE ONLINE BASIC SPANISH I SPA 1010 SYLLABUS Prof. Deborah K. Symons Contact: deborah.symons@purchase.edu Office Hours: TBA in Moodle. ONLINE E-TEXT - Required: Interactive E-Book ENLINEA v.3.0. SPANKH. Review and Practice MASTERING SPANISH GRAMMAR FOR CONFIDENT COMMUNICATION. 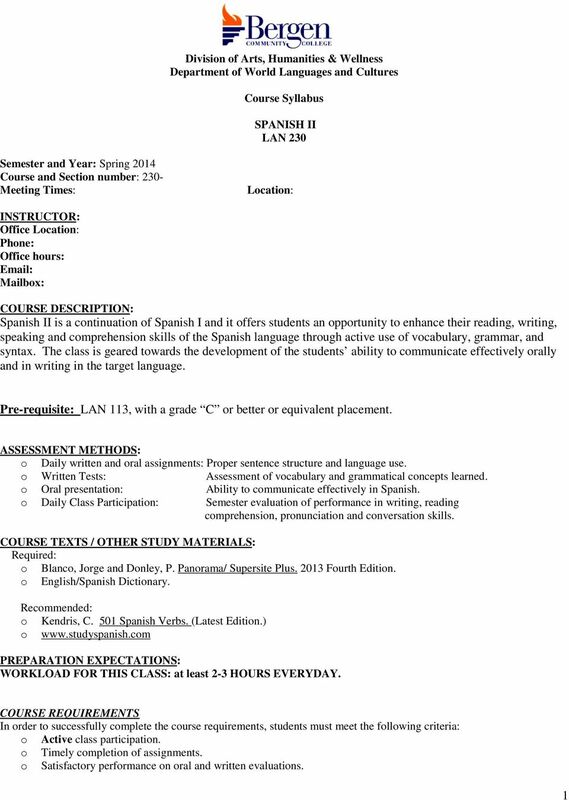 Ronni L. Gordon, Ph.D. David M. fttillman, Ph.D.
Spanish 102 (CRN 31272) Spring 2015 Instructor: Sra. María Dillingham Meets: Monday and Wednesday 5:15 p.m. to 7:20 p.m. Classroom: DDH 103 K E-mail: mruiz27@csub.edu Dept. Adm. Asst: Sharon Haynes Dept. 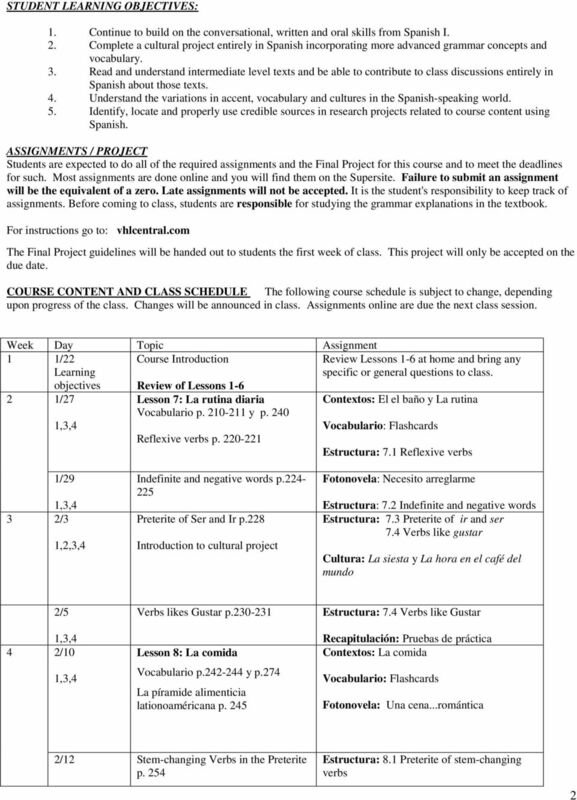 NORTHWESTERN UNIVERSITY DEPARTMENT OF SPANISH & PORTUGUESE SPANISH 115-1/ACCELERATED ELEMENTARY SPANISH WINTER 2013 CONTACTS: Instructor: E-mail: 115 Course Coordinator: Deborah Rosenberg E-mail: deborah-rosenberg@northwestern.edu. Institut für Fremdsprachen Hochschule Karlsruhe Technik und Wirtschaft Module Description. Spanish A1.